Eden Richmond Park in Narendrapur, Kolkata South by Eden Group is a residential project. 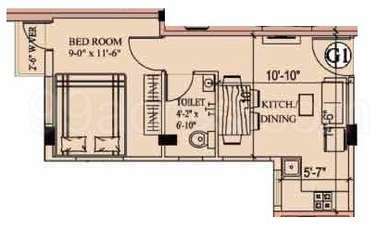 The size of the Apartment ranges in between 424.0 sq.ft. 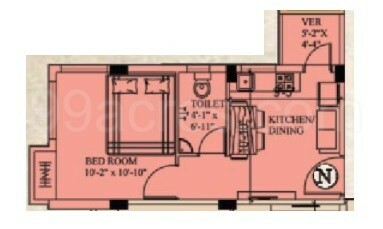 and 1318.0 sq.ft. Eden Richmond Park price ranges from 15.00 Lacs to 47.00 Lacs. Eden Richmond Park offers facilities such as Gymnasium and Lift. Bank loan approved from State Bank of India, AXIS Bank LTD., LIC Housing Finance Ltd. and PNB Housing Finance Limited. It is a ready to move project with possession offered in Jun, 2018. The project is spread over a total area of 3.55 acres of land. It has 40% of open space. Eden Richmond Park has a total of 10 towers. The construction is of 4 floors. An accommodation of 300 units has been provided. Eden Richmond Park brochure is also available for easy reference. Where is Eden Richmond Park located? The project is located in Narendrapur, Kolkata South. What is the area of apartments in Eden Richmond Park? The area of apartments offered in the project ranges from 424.0 sqft to 1318.0 sqft. What is total area of 1 bhk in Eden Richmond Park? 1 BHK unit in the project are available in an area of 424.0 sqft to 544.0 sqft. How much is area of 2bhk in Eden Richmond Park? Two-room units (2BHK) in the project are available in an area of 686.0 sqft to 1102.0 sqft. What is the 3 bedroom size in Eden Richmond Park? The area of 3BHK units in the project varies from 1035.0 sqft to 1318.0 sqft. What is the total area of Eden Richmond Park?The project spans across 3.55 Acres. Nearest Railway station/ bus stand. is it fixed that project to be completed in march-2018 or earlier. How far it is from sonarpur and narendrapur.